EFLAND, N.C. — An elementary school teacher who read a book about homosexuality to third graders has resigned following outcry from parents who were upset that their children were exposed to the material. Both teacher Omar Currie and Assistant Principal Meg Goodhand have resigned from their positions at Efland-Cheeks Elementary School following the incident, which occurred in April of this year. According to reports, Currie decided to read the book to his class after a student chided a male classmate during gym class and told him that he was acting like a girl. Currie, a homosexual himself, said that because “the word gay was used in a derogatory way,” he believed that students should be taught a lesson. 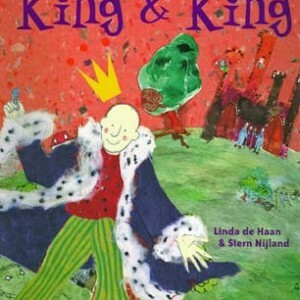 Therefore, Currie obtained a copy of the book “King & King” from Goodhand, a story about a single prince who is encouraged by his mother to marry, but passes up all the princesses as potential mates to instead “marry” the brother of a princess. However, after some parents learned that Currie, 25, had read the book to their children, they contacted the school. Within hours, Currie received a call from the principal, requesting a meeting the following morning. Three parents soon filed written complaints over the matter, which resulted in public meetings regarding concerns about the book being read to children. One meeting was reportedly attended by 200 people. “This is nothing more than bringing homosexuality into a school where it does not belong,” one parent declared. A school review committee, which investigated the matter, upheld the use of the book twice. But the principal issued a new policy to teachers, requiring them to provide parents with an advance list of books to be children that year. “I think that that’s very dangerous for a school system to get behind and support,” he said. However, Currie says that he ultimately resigned because he does not feel like he has the support of administrators. A review of the book will now be conducted by Interim Superintendent Pam Jones following an appeal from parents, and another public meeting is scheduled for today.